Nighthack.com is The Store for professional light up footbags and the coolest glow products for Worldwide online shopping! We are the premiere supplier of 12 panel suede and woven cotton replaceable battery light up glow in the dark hackey sacks We ship worldwide! USA Canada Australia France Spain United Kingdom Germany Japan and more! 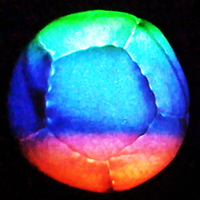 Night Hack glow hack is the best glowing hackey sack available Turn on your Night Hack footbag light and experience glow hacky sack all night! All your night sports toys and high quality glow products for sale in one place at Nighthack.com Featuring Secure online shopping and worldwide shipping Finally light up footbags with tough led lights! It is a kick bag, kick ball, net ball or net bag that lights up! High quality glow hacks! Nite Hack is non toxic and environmentally friendly Great solid color or strobe color changing glow ball activity for children teens adults and pets! 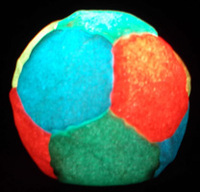 All On Sale Here Create New glow ball games! Night Hack is great rave gear! Nitehack is a popular warm up for soccer, football and tennis players Nitehak is waterproof and glows brightest Forget toxic glow sticks! Nighthack Professional light up glowing Footbags make night sports fun! Click on a link below to see our other amazing glow products! When the sun goes down, stop the game or... turn on your Nighthack™ LED footbag! 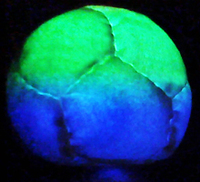 Nighthack is the best light up glow in the dark hacky sack you will ever experience! All nighthack footbags are now stronger, more durable, brighter and balanced. Night Hack is waterproof and washable. Cool! Nighthack is The Original and best glow footbag available! We invented it! Canadian customers $11 for Expedited shipping. (5-8 days) Orders have dollars at par + applicable tax. NightHack is great to use on the beach or in the snow. Nighthack in the park or on the sidewalk. Show up with your nighthack and save the game! Finally play footbag at night!! The Future of Fun! Nighthack Professional Glow in the Dark LED Footbags! Cool New Item! The Original on/off LED Light Up Glowing Footbag Goes Pro! We worked with professional footbag players to create this one! Nighthack is the best high quality light up glow kick bag available. The newest high quality nighthack footbags are only available at nighthack.com! All the best ultra bright colors! Fun is on sale here! Please click on a Nighthack image to enlarge the new nighthack pro pictures. The latest in LED technology takes footbags far into the future!! The latest in LED technology powers the new Nighthack Pro 7 Color Fade footbag! Our amazing new LED light slowly fades and blends through 7 different colors! The new super tough led light spends a few seconds on each color and then slowly fades to the next color. Red to yellow to green to blue to turquoise to purple to white and everything in between! The newest and coolest hack effect available. You truly have to see it to believe it! Each picture is a different moment in time with the Nighthack Fade! Amazing! 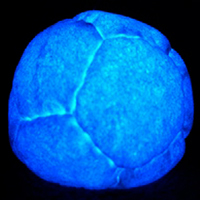 The Original Nighthack Glow in the Dark LED Footbag! Glowing on/off light up LED Cotton Footbags! The Original Nighthack™ Cotton Footbag. It now comes in all of the ultra bright light colors! Take your footbag skills to the next level with the newest in LED technology in professional footbags! 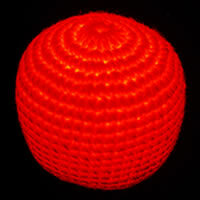 The Nighthack on/off LED Light module is surrounded by recycled plastic beads, all contained in a super strong woven cotton shell. You can even replace the batteries (battery included lasts 40+ hours). We use only non-toxic battery cells. The fun starts at night with Nighthack footbags! Our new design with LED technology takes footbags farther into the future!! The hot new present to yourself for 2018! The newest design with our Nighthack™ Pro footbag. Introducing the Nighthack Neon Pro! With the new color 12 panel shell, depending on the light you choose, the panels will change color or stay the same color or all of the options! An amazement for the eyes and a joy to kick around. Nighthack Neon Pro has a LED light module with an ON/OFF twist cap switch inserted into our new color 12 panel professional footbag!. You can even replace the batteries! (batteries included last 40+ hours). We use only non-toxic battery cells. The Nighthack Light module is surrounded by recycled plastic beads, all contained in a super tough 12 panel Amara Suede shell. Nighthack is the best high quality light up glow kick bag available. All the best ultra bright colors! Please click on a Nighthack image to enlarge the new Nighthack Neon Pro pictures. Amazing 7 color changing LED light is the latest in LED technology! A very cool addition to the nighthack family! Nighthack 7 Color Changer. Our amazing new LED light spends a fraction of a second on each color and there are 7 different colors! Red, yellow, green, blue, turquoise, purple and white. 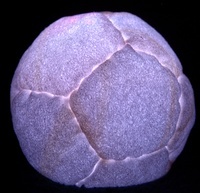 A footbag that is constantly changing color! With our new professional 12 panel shell night sports will never be the same! A Strobing LED light in our new panel footbag! Amazing fast strobing LED light! This Nighthack takes you on a voyage. The Nighthack Pro Strobe Light contains an amazingly fast flashing LED strobe light. This takes footbag to a different dimension. When in motion the Nighthack Strobe light flashes very fast on and off like a strobe light with a red/blue/green hue. The Strobe light creates bright tracer lines with flashing ghostly effects. It's a footbag that's a strobe light! The Nighthack Pro Strobe, it's new and it is unbelievable! Order Different Color Lights for Your Nighthack! Or for anywhere you need some light! Buy extra lights and make your favorite Night Hack change color. Lights can also be used as mini flashlights or necklace lights for bike riding and walking. 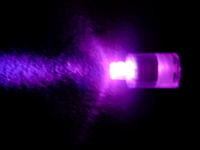 There are so many different uses for a compact long lasting light source. Available in ultra bright white or any of our colors or color changing lights. Just change over the nighthack inner light module and batteries and your Nighthack is a new color! Nighthack Extra Batteries Now available! Order extra batteries and save money! Three AG12 batteries are needed for 1 Nighthack light up footbag in all colors. Nighthack battery packs last 40+ hours! We are proud to have so many happy customers! Thank you for your feedback! Thank you very much! Best money I ever spent! This is my all time favorite hack! Z.C. Amazing!! Very awesome stuff will not be the last time i order for sure A+++++++. R.R. Awesome hack. Fast shipping. Pleasure doing business. O.R. Awesome, now i can hack 24 hours a day. My friends tripped out so hard on it. A.T.
thankyou so cool!! 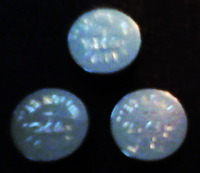 AAAAAAA+++++++++++++++++ B.A. sweeeeEEET product. fast shipping -R.S. great communication, thanks a lot. Very happy customer -S.T.